Want to cuddle with Gaia Sophia? I invite you to explore platonic touch in a safe and nurturing space. I offer sessions focused on compassion, presence and non-judgment. I discovered a while back that I was touched deprived and hadn’t realized it until I received platonic touch. What a beautiful experience. 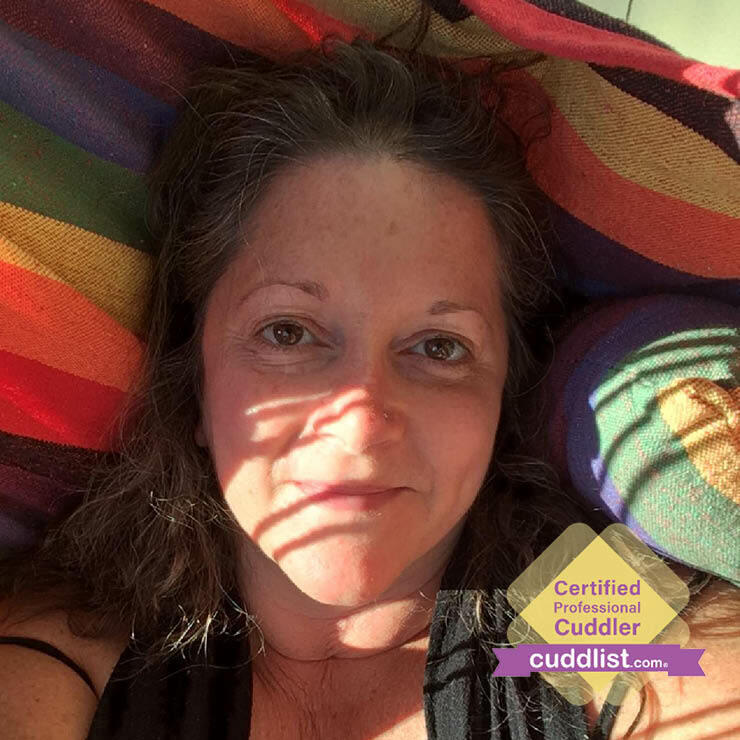 It wasn’t till some years later that I learned about Cuddlist and I was immediately in board. I feel honored to be trusted by my clients with their sometimes tender emotions. 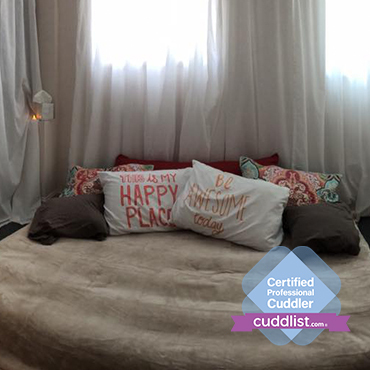 Each session is tailored to your needs, whether you are needing deep nurturing or a lighthearted cuddle. You are in control of how your session plays out as I will help you to ask for what you want within the boundaries of the Cuddlist Code of Conduct and our own personal boundaries. This includes saying ‘yes” if you are a yes, “no” if you are a no and your choice to change your mind. So how would YOU like to cuddle? Thank you for interest in a Cuddle Session with me and for loving yourself with some self-care. I will respond to your request within 24 hours. 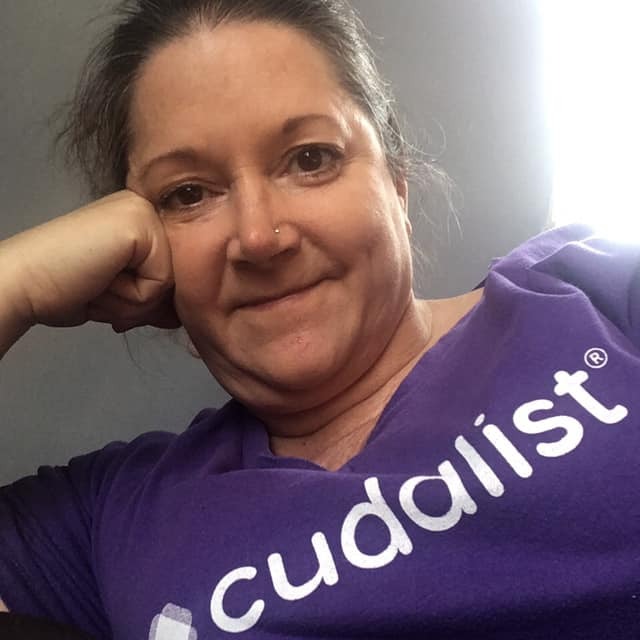 Before our first session, I will email you a a copy of the Cuddlist’s Code of Conduct, my waiver and request a time for a call. This will help me get an idea of what your needs are and how I can serve you in the best way possible. It will also help us get a bit more familiar with each other and determine if we are mutually comfortable to continue on to our cuddle session. In adherence to Cuddlist’s Code of Conduct, please be well groomed and wear comfortable, freshly laundered clothing. Each session is unique and created to help you explore using open communication, establishing boundaries and informed consent. I accept cash or credit/debit cards via Square. Please give a 1 week notice for all sessions. I currently see clients in Amherst, Milton & Woburn. I'm a licensed massage therapist with training in oncology massage I also do sound healing and body tuning with tuning forks. 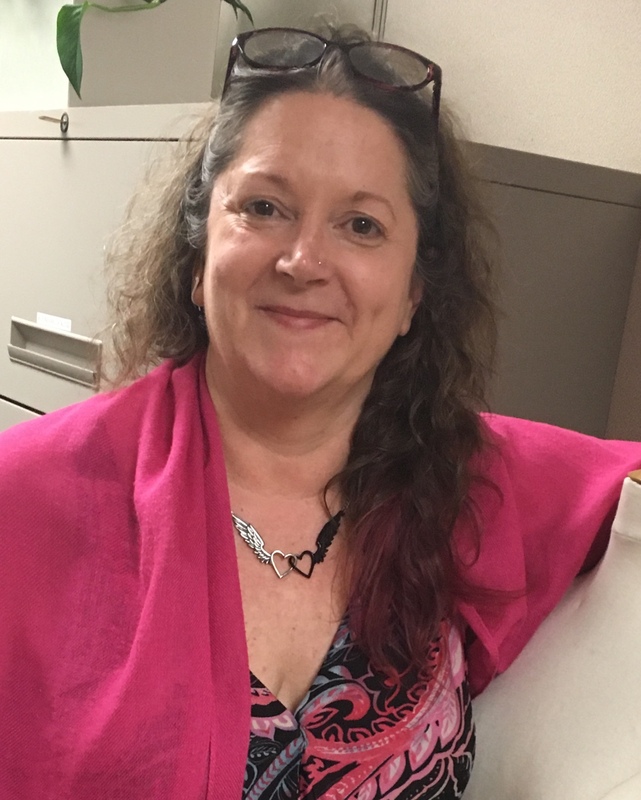 I've completed up to level 6 of the Human Awareness Institute (HAI) and serve as a member of the support team for workshops and office staff. 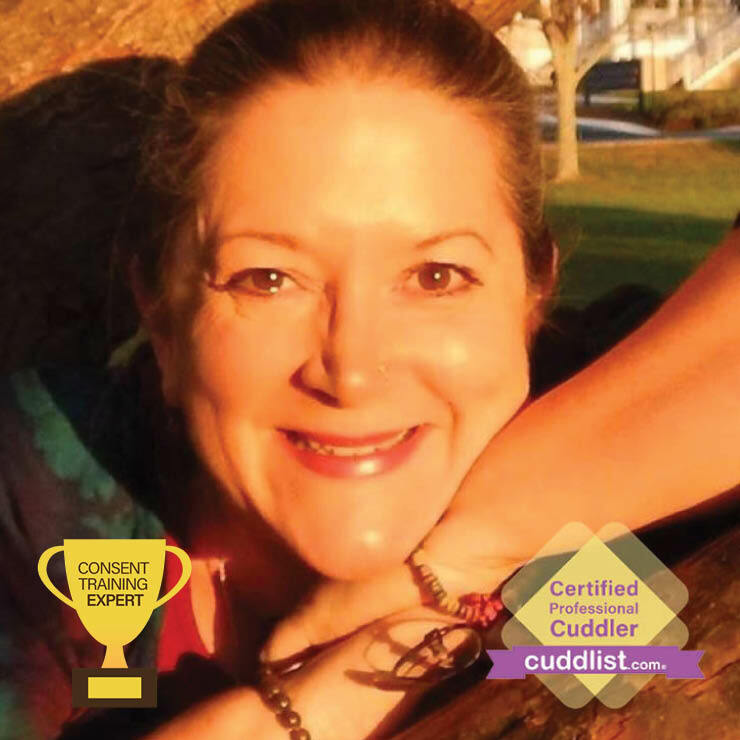 I am also a Cuddle Party Facilitator offering Cuddle Parties in Massachusetts and other locations.